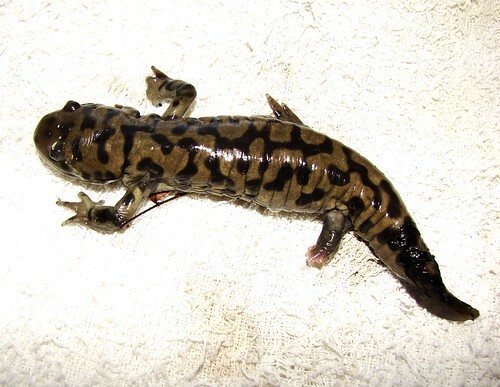 Salamander update, originally uploaded by EcoSnake. Follow the links by clicking on the pictures to discover how this little salamander is regenerating a leg and tail. They were accidentally cut off by a shovel in November, 2007. The salamander was underground and could not be detected.